Goods and passenger transport services provider VRL Logistics Ltd's public float received robust investors' response on the third and final day with bids worth 74 times or recording around 73x over subscription for the initial public offer (IPO) which closed on Friday. This is the biggest oversubscription number in seven years for a primary market issue beating Reliance Power's issue in February 2008. Reliance Power issue, which saw bids worth Rs 7.5 lakh crore against the issue size of Rs 11,560 crore, was oversubscribed within a minute of opening. This was despite the market heading for a downward spin with the first shock to the bull-run just weeks ahead of the Reliance Power IPO. The company's share price never managed to reach the issue price. The highest oversubscription record, however, is held by Future Capital. The firm saw a record 132 times oversubscription in January 2008, at the peak of the bull-run. Future Group later sold its holding in the company to Warburg Pincus and the firm is now run as Capital First. Meanwhile, the bumper response to the IPO of VRL Logistics strengthens the case for primary market offerings in India. Earlier theme parks operator Adlabs Entertainment had to extend the issue period and cut the price band to see through its issue and regional cable and broadband distribution company Ortel Communications had to scale back the total size of issue due to poor response. Ortel is backed by PE firm New Silk Route (NSR). NSR is also an investor in VRL Logistics and is part-exiting in the IPO. VRL’s public issue received bids for about 1.2 billion equity shares against 16.2 million equity shares on offer on the final day of the issue. While the HNI portion of the issue was fully covered on day 1 itself, institutional investors and retail investors portion was fully covered on day 2. At the issue closure time, HNI portion was covered 250 times; QIB segment (over 58x) and retail (7.5x). 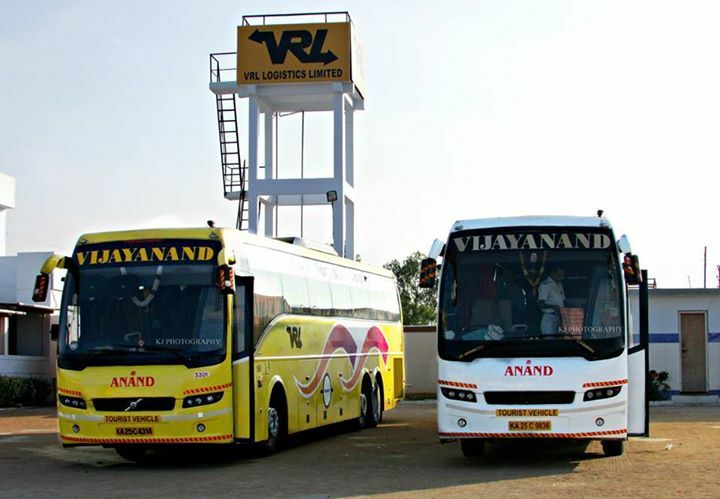 Earlier, VRL Logistics had already raised about Rs 140 crore (nearly $22 million) ahead of the IPO from a bunch of domestic and foreign investors which came as anchor investors. VRL Logistics is the fourth company to hit the capital market with an IPO this year, and the first this year which saw the bumper participation from the investors. Other companies that saw through a heavily oversubscribed public float in the recent past include Snowman Logistics Ltd, a cold chain unit of Gateway Distriparks Ltd, and Mumbai-based agrochemical firm Sharda Cropchem Ltd. While Snowman floated its IPO in August last year, Sharda Cropchem came up with the issue in September. The public issue of both the companies saw subscription of around 60 times than the shares on offer. VRL had previously filed its DRHP in December 2010 but did not go ahead with the IPO.